Welcome to Seven Worlds, a realistic science-fiction campaign for Savage Worlds! 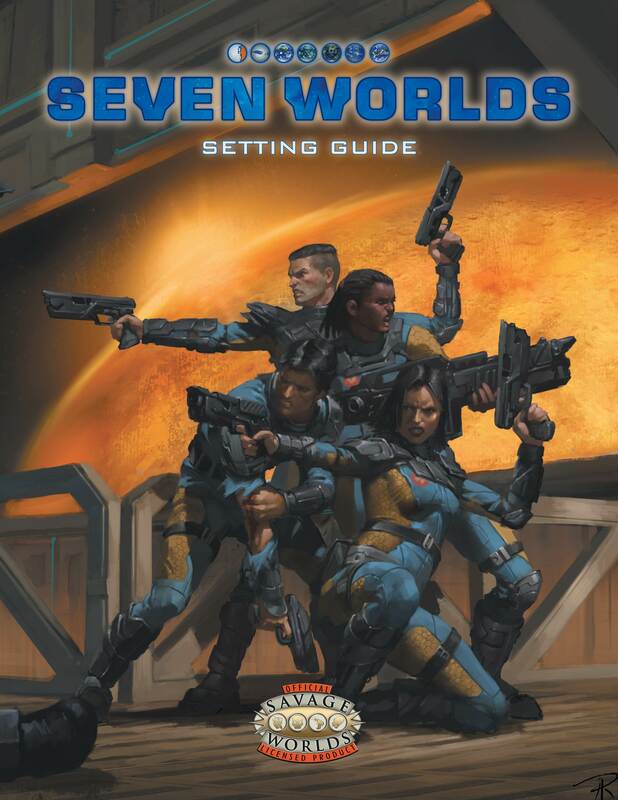 Welcome to Seven Worlds, a new Epic Science-Fiction Setting and Campaign, now available for Savage Worlds! 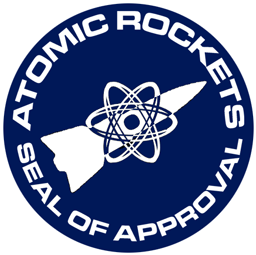 Seven Worlds is an epic Science-Fiction role-playing campaign and setting for the Savage Worlds rules system. In the year 2217 humanity's greatest achievement is the colonization of the nearby star systems now known as the Seven Worlds, where humanity lives, thrives, and prepares for the next great wave of space exploration. But when the unexpected threatens humanity, only an unlikely band of heroes can unravel a deadly conspiracy and try to avert the Fall! What makes Seven Worlds special? The core of Seven Worlds is its awesome, world-shattering campaign (you can ignore it and use the setting by itself if you like). The setting was designed around the story, rather than the story around the setting, making for a rich environment where everything fits together. Inspired by such grand episodic RPG campaigns as the original Dragonlance saga, several Paizo Adventure Paths, and classic science fiction books like The Expanse series and TV series like Battlestar Galactica and Babylon 5, this is a story arc the players will never forget! 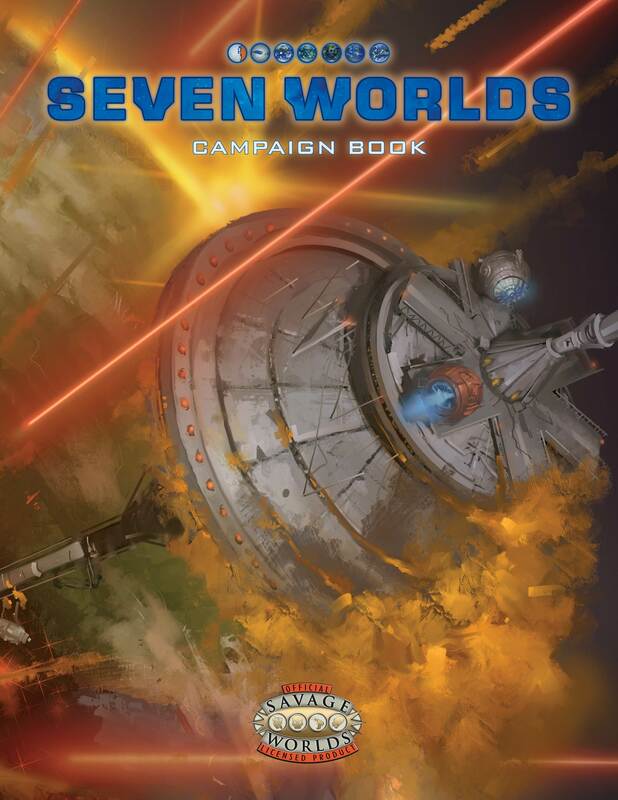 The campaign will be available as seven PDF-only modules and (after the modules have been released) as a single-volume 253-page Campaign Book (You can buy the Seven Worlds Campaign Subscription today to get it!). For more information on the campaign, check this Designer Diary. If you want to use the setting as a sandbox and ignore the campaign, you can do that as well! Check out the bios and character sheets for the sample characters Maricelle, Duarthe, Derrick and Seela to see how deep the setting is! 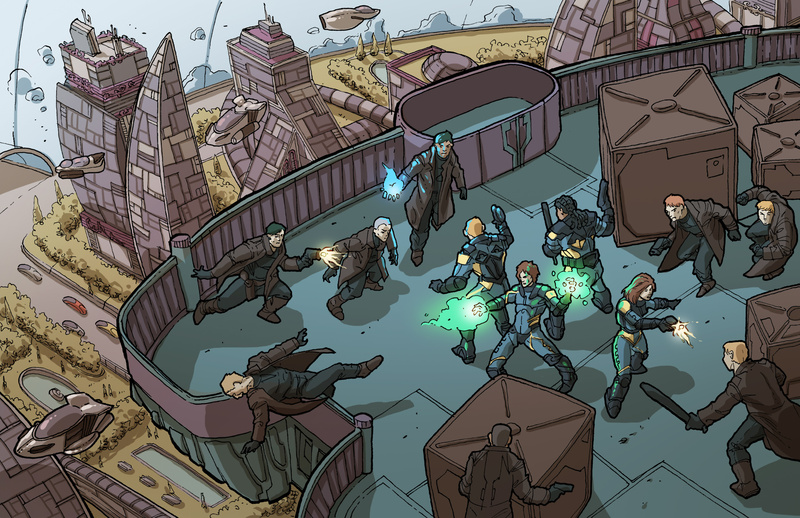 From star systems to technology and science, Seven Worlds is one of the most realistic SF settings this side of the classic 2300AD role-playing game, with a few concessions made when necessary to keep things fun (Psionics and FTL, for example). Plus, the Seven Worlds Setting Guide includes dozens of sidebars that explain off-the-wall scientific concepts and facts in plain language. If you ever wanted to know what space smells like, or why the Space Shuttle kept its cargo bay doors open while in orbit, then this is the book for you! Check this Designer Diary for more! 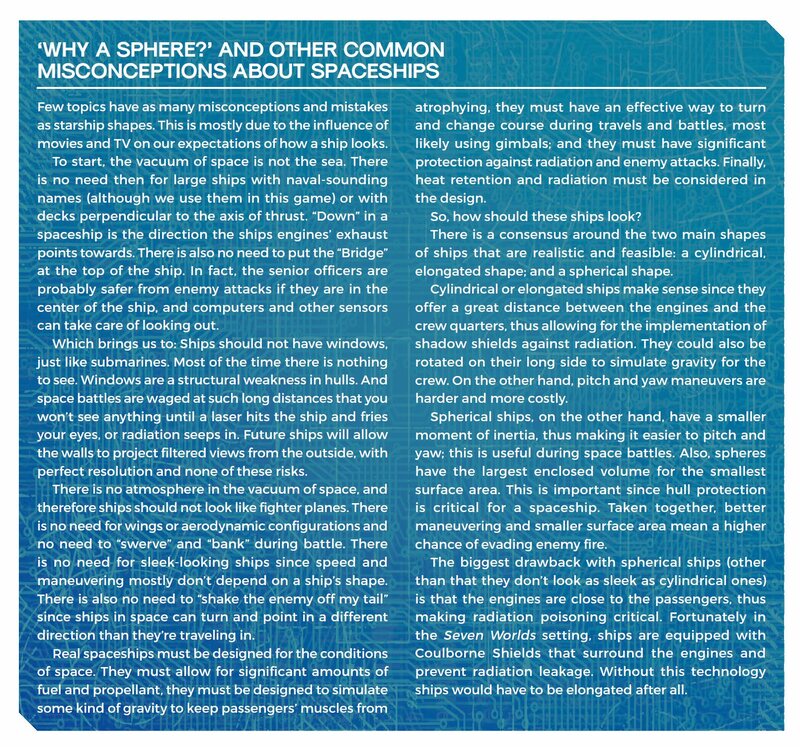 If real space is three-dimensional, how come we only role-play with 2-D, printed-on-a-page space maps? Not anymore! Seven Worlds comes with a digital 3-D map of known space in the year 2217, viewable on most compatible computers and tablets. Based on actual, real star positions and locations, and intimately tied to the plot of the campaign, the Seven Worlds 3-D starmap allows GMs and players to navigate the starmap to the setting in 3D and feel they truly are adventuring in space. 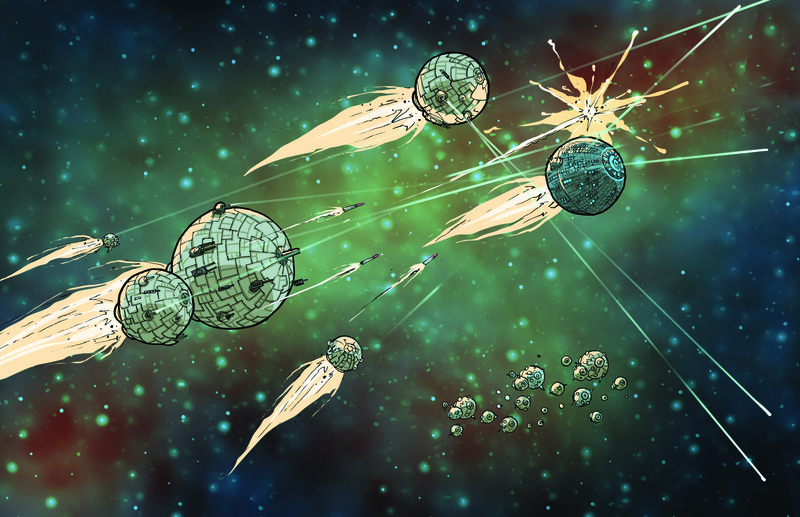 Of course, the game also includes 2-D starmaps for those times when cracking open the laptop is overkill. For more information on 3-D Starmaps and why they change the gaming experience, check out this Designer Diary. And you haven't yet heard about new rules for Assistants (23rd century Siri- or Cortana- like software personalities), planetary atmospheres and environments, and much, much more! But don't take our word for it. Download the FREE Seven Worlds Test Drive PDF and see for yourself! Jump to the Seven Worlds universe today! The main Seven Worlds products are ready and available for you today! Visit our DriveThruRPG and RPGNow store at http://store.SevenWorldsRPG.com to purchase the Setting Guide, the Campaign Book subscription, and many accessories such as battle maps, a GM screen, and more! Character Spotlight: Maricelle, tough miner with a painful past.